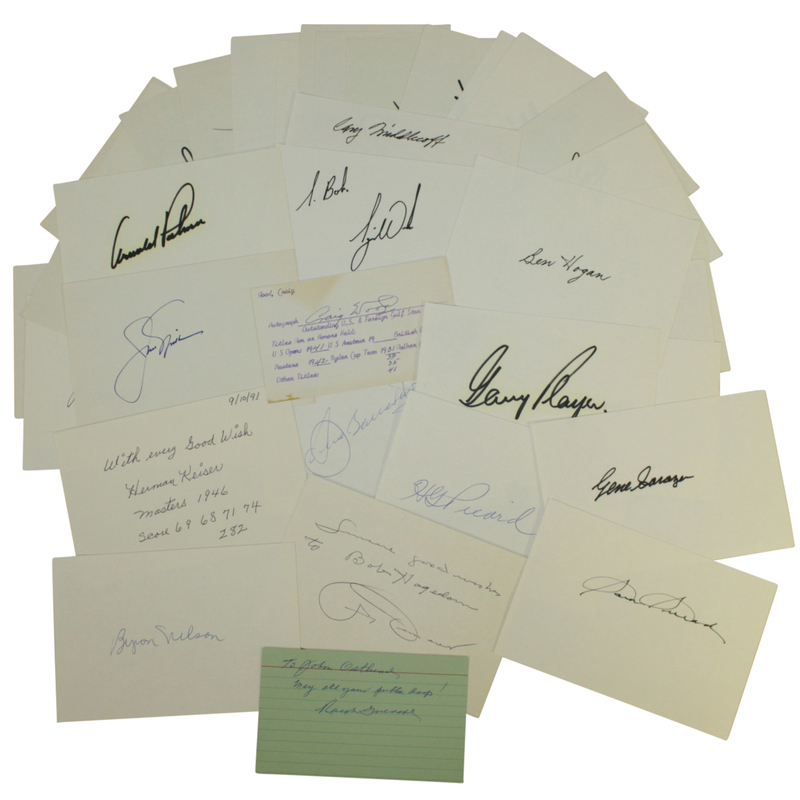 Among the 38 Masters Champion signed index cards include some of the scarcest and most difficult for collectors to obtain to finish their Masters collection. 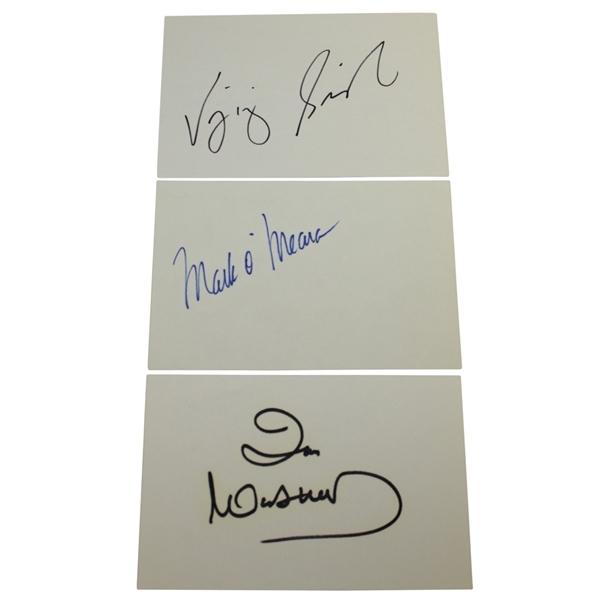 This who’s who of Masters winners includes authentic signatures on note cards of 1941 winner Craig Wood (including stats), 1939 winner Ralph Guldahl, 1940,’47 and ’50 winner Jimmy Demaret and 1997, 2001, 2002, and 2005 Masters winner Tiger Woods just to name a few. This collection is a complete run of Masters winners from 1934-2002 sans Horton Smith and Claude Harmon. 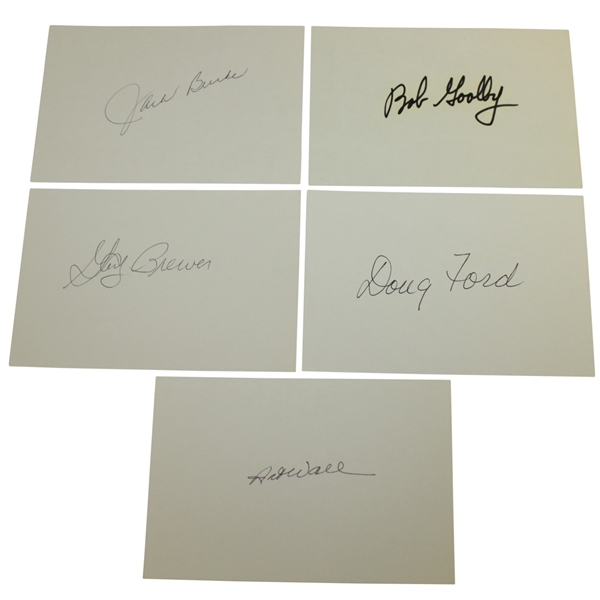 The note cards are all in vg to near mint condition, with just minor discoloration to part of the top and bottom of Craig Wood’s (not affecting his signature). 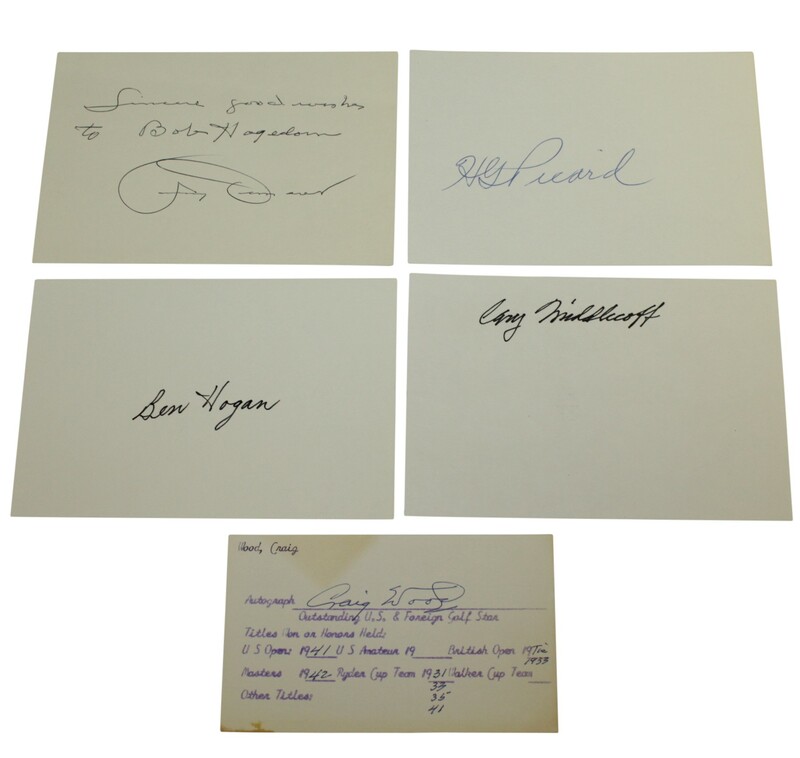 The full list includes Jimmy Demaret, Ben Hogan, Craig Wood, Henry Picard, Cary Middlecoff, Herman Keiser, Tiger Woods, Seve Ballesteros, Arnold Palmer, Ralph Guldahl, Gene Sarazen, Byron Nelson, Sam Snead, Gary Player, Jack Nicklaus, Jack Burke, Gay Brewer, Bob Goalby, Doug Ford, Art Wall, George Archer, Charles Coody, Tom Watson, Tommy Aaron, Billy Casper, Ray Floyd, Craig Stadler, Bernhard Langer, Fuzzy Zoeller, Jose Maria Olazabal, Sandy Lyle, Larry Mize, Nick Faldo, Vijay Singh, Ian Woosnam, Mark O'Meara and Fred Couples. 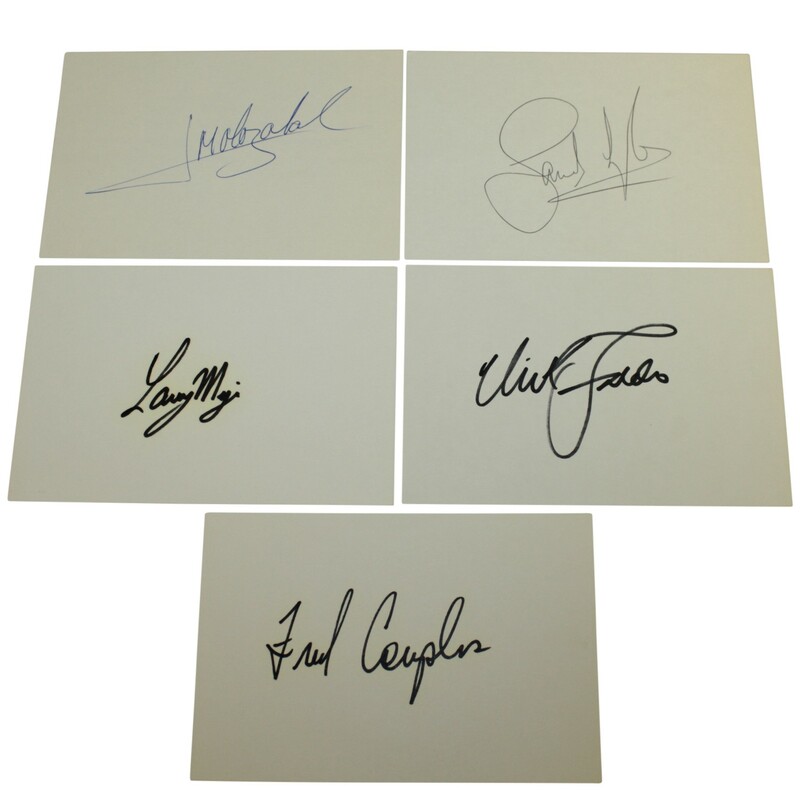 James Spence Authentication (JSA) has reviewed the signatures and their auction letter of authenticity will come with this lot.